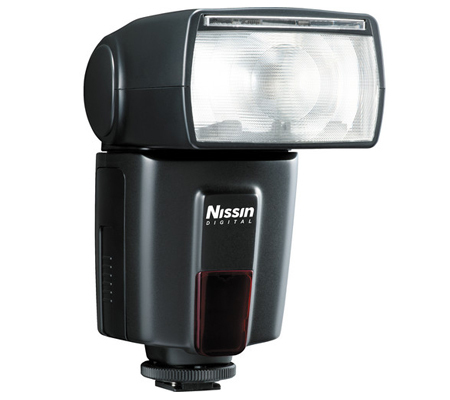 The Nissin Di600 Flash is a shoe-mounted flash unit designed for Nikon cameras with iTTL functionality. 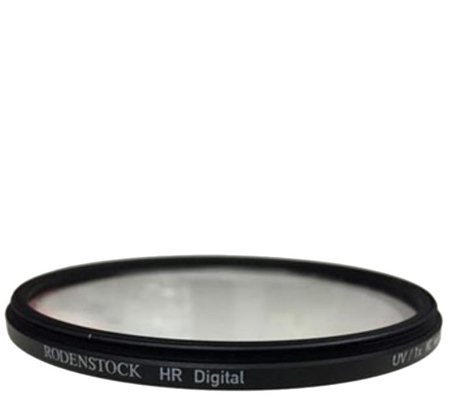 It features a guide number of 145' at ISO 100 in the 105mm position for providing excellent coverage within a zoom range of 24 to 105mm, or down to 16mm with the built-in wide-angle diffuser. 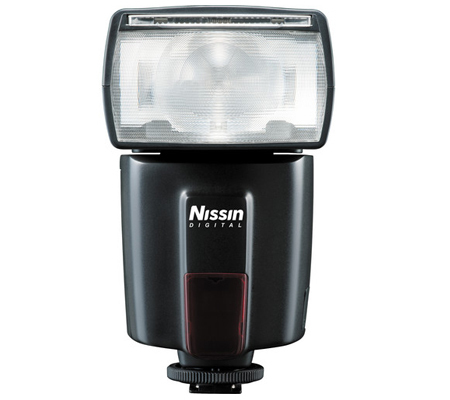 The Di600 supports wireless slave functionality and can still utilize TTL metering. 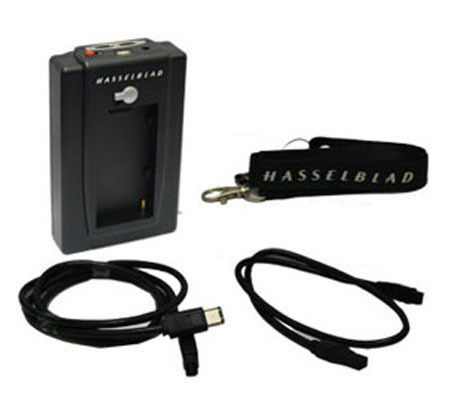 It can be controlled by using a master flash unit in channel 1 and group a. This allows you to be more creative with your lighting design. 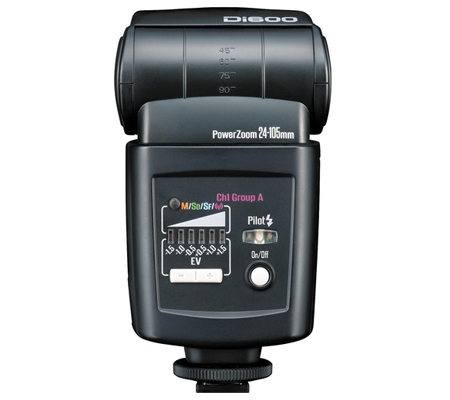 Additionally, manual control is possible with 6 different levels, from full 1/1 down to 1/32 power in full-stop increments. 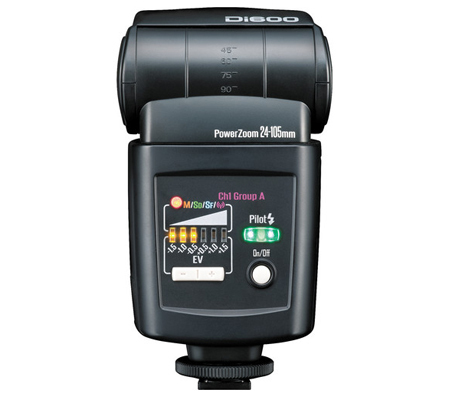 For utilizing techniques like bounce flash, the Di600 can tilt upward 90° and it features 270° rotation. 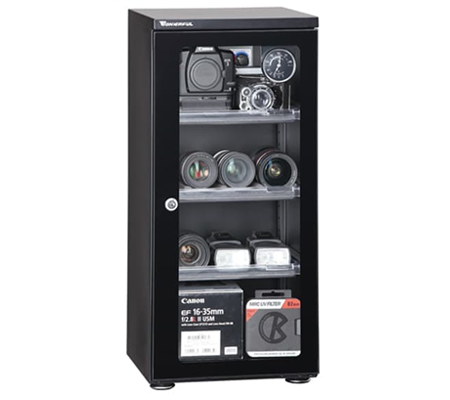 This allows for simple adjustments for a big improvement in the quality of light you desire. 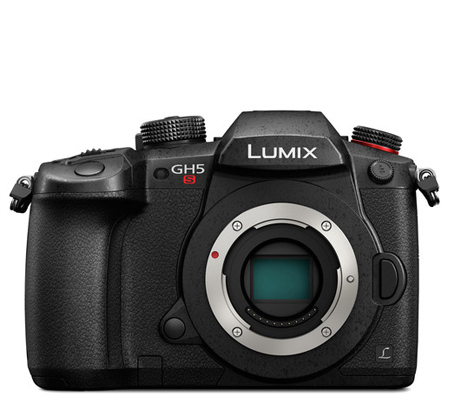 It also has a built-in reflection panel for adding some fill light to your shots. 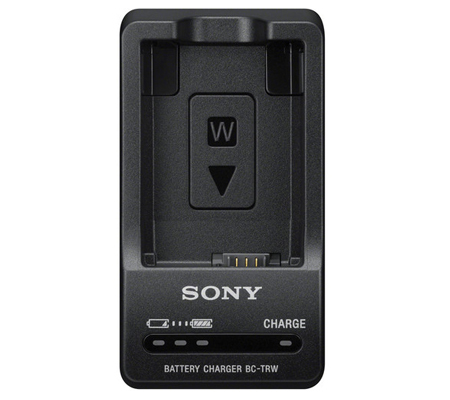 The flash operates on four AA batteries and includes a stand for off-camera operation. Box Dimensions (LxWxH) 8.4 x 3.7 x 2.0"